Welcome to the Holmes Middle School Counseling pages. Here you will find resources such as parent tips, culmination requirements, and other helpful information. 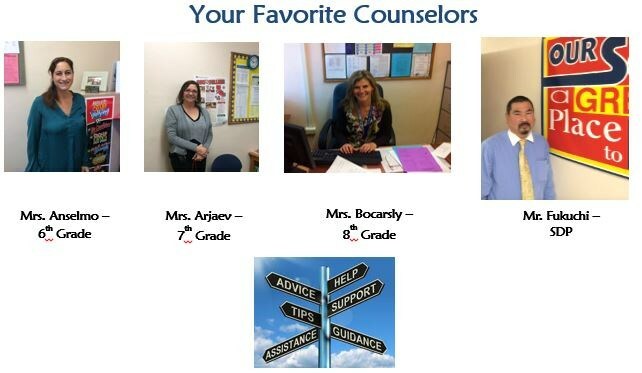 A focus of the Holmes Middle School Counseling office is to work collaboratively with other school staff, parents, and the larger school community to support our students. Our mission is for all students to be successful during their three years at Holmes Middle School, and to prepare and support them for future educational, social, and career endeavors. Our purpose is to assist students in academic planning, social-emotional development, and career guidance. Our Goal is to help every student become a well rounded and productive member of our society, by developing the academic and social-emotional skills necessary to succeed in high school.